Maybe it's the nerd deep inside me (okay, not so deep), but discovering new authors gives me a special thrill, like I'm the first one to ski down a pristine slope (if I skiied), the first one to peer into the Mariana Trench (if I weren't afraid of sharks), or the first one to see and name a new star (if I could remember constellation names beyond the Big Dipper). But the reality is, so many people have already "discovered" an author before I have, including the author's literary agent, the book's editor, and very often other, established authors who are asked to read earthshattering debut novels before the rest of us get our hands on them. I first met Roshani Chokshi when the two of us were on a panel at a convention together. She was so eloquent and knowledgeable that I decided I had to read her series—and I’m certainly glad that I did. The Star-Touched Queen (first in the trilogy) is a beautifully written, whimsical book that interweaves Indian mythology with fascinating worldbuilding and a certain ephemeral majesty. It is the story of a young woman who is saved (kidnapped?) from her father’s harem and taken to a land that straddles the world of myth and the world of the living. One part the Persephone myth, one part romantic mystery, and one part epic fantasy, it delighted me from cover to cover. 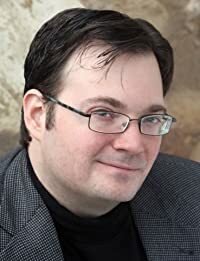 Brandon Sanderson's most recent novel Skyward, about a brave teen who wants to join a team of pilots to defend her colony from the Krell invaders, has earned an average rating of 4.9 stars from nearly 500 Amazon customers. Sanderson is also the author of the bestselling Mistborn series and the Stormlight Archive, which take place in the connected universe of the Cosmere. I seldom find a new novel that blows my socks off. Phoenix Unbound by Grace Draven is that novel. In a world where war is imminent and magic is relegated to a rare few, Draven gives us Gilene, a woman who must burn to death each year to save her village, and Azarion, the Empire’s most famous slave gladiator. Together, they must sacrifice what little security they have achieved in life to free themselves, reclaim a birthright, and go to war to save a way of life. The battle scenes are violent and spectacular, the magic system original, the politics Machiavellian, and the love story enthralling. You really need to read this USA Today bestselling novel and fall in love with Grace Draven’s world! 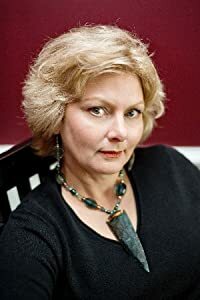 Faith Hunter's urban fantasy Jane Yellowrock series recently spawned the fabulous Soulwood novels featuring Nell Ingram. The fourth tale in the Soulwood books is Circle of the Moon, releasing February 26. Fonda Lee's adult debut Jade City is one of my favourite fantasy novels of recent years. It recalls classic Hong Kong gangster movies, and reads like an intelligent thriller: the family politics pack as much of a punch as the action scenes. The scope is epic; the stakes high; and the setting wonderfully vivid. It's a breath of fresh air in a genre sometimes accused of staleness—no quests for magical MacGuffins or secret heirs to thrones here. It's attracted a deserved amount of buzz as a result, garnering a raft of awards nominations and winning the World Fantasy Award. I can't wait for the sequel, Jade War. 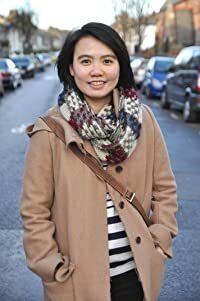 Zen Cho is the author of the delightful historical fantasy romp Sorcerer to the Crown, which won the British Fantasy Award for Best Newcomer. Her highly anticipated follow-up, The True Queen, releases on March 12. I’ve read a lot of fantastic books this year, but the one I found myself constantly recommending was Tasha Suri’s Empire of Sand. A standalone epic fantasy, Empire of Sand follows a noblewoman named with Mehr, whose long-vanished mother came from a group of nomads with magic in their blood: a people now hunted, persecuted, and—as we come to find out—enslaved for their abilities. Inspired by Mughal India, this is the kind of book I’ve been craving in fantasy, one that dives into the complicated lives and family relationships of its female characters. It’s also a story about surviving in a grim world with what seems like little hope, and finding the glimmers of light and love needed to resist. S. A. Chakraborty's debut novel, The City of Brass, was short-listed for the Locus, British Fantasy and World Fantasy awards and named as one of the Best Books of the Year by the Amazon editors in 2017. 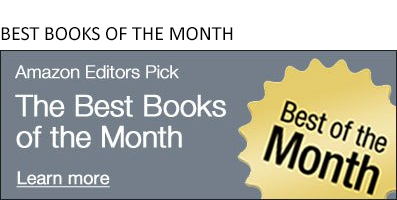 Its sequel, The Kingdom of Copper, reaches her readers on January 22, and has already won starred reviews from multiple magazines.